Heading Kendbrin for 30 Years! !In the summer of 1990 Sandy took over with the club in total disarray and in discussion with Centre Court to be bought out. The club only had 127 family members and was in disrepair. Through his hard work, and with a forward thinking Board of Directors, they were able to increase membership up to 165 families in 1991, 225 families in 1992 and after a couple years to a maximum of 275 families. Over the years, Kendbrin has maintained a strong family environment. Members enjoy the social events that fill our calendar each season. The youth program has thrived with lessons in both swim and tennis teams at capacity. Currently the swim team has been undefeated in dual meet competition and All Pool Meet Champions for the last 8 years! Sandy has taught for 44 years as a Health and Physical Education Teacher at East Providence High School. He started coaching in 1973 as swim team coach at Barrington High School and then football coach in 1975. He remained coaching at Barrington until 1989, when he left to become Assistant Athletic Director at East Providence High. After just 2 years, Sandy went back to doing what enjoys the most, working with kids. He become the head coach of football, swimming, softball, and tennis at East Providence. In 2014, he returned to Barrington and currently coaches football, swimming, and softball. Sandy and his family have had a long history with Kendbrin. Sandy was a member of Kendbrin from 1960 through 1966; the club officially opened in 1955. His wife Maura, worked as a lifeguard and swim instructor from 1980 through 1984. 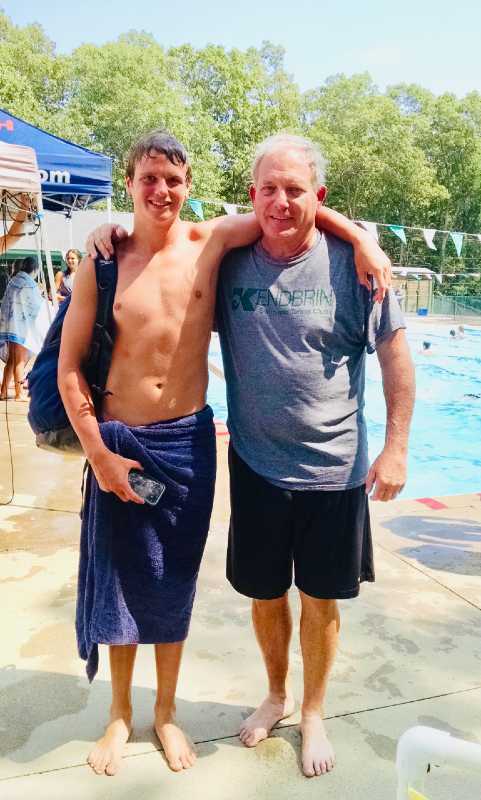 His boys, Ryan, John, and Luke all grew up at Kendbrin and learned their love of swimming and what a wonderful family environment that Kendbrin possesses.